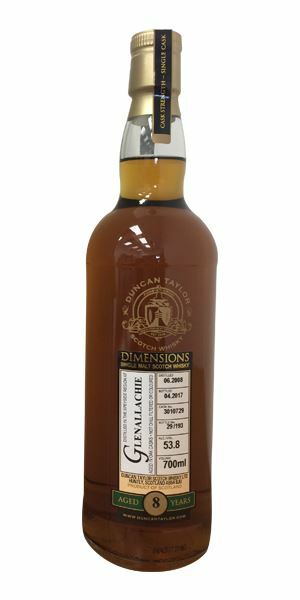 Six Speysiders for your perusal this week, starting with the youngest bottling – a ‘cask-driven’ eight-year-old Glenallachie from Duncan Taylor, with milk chocolate and resinous Sherry notes. 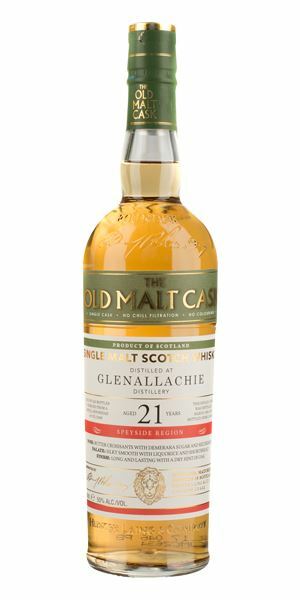 Sticking to dessert-like aromas and flavours, a ‘charming’ 21-year-old Glenallachie, bottled by Hunter Laing, follows, full of typical distillery character. 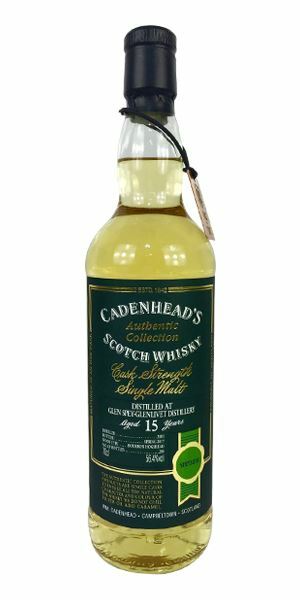 Dave Broom then moves on to the Glen Spey distillery with a 15-year-old ‘perfumed’ bottling from Cadenhead, before pouring a 25-year-old from the same distillery – this time bottled by Hunter Laing – which he recommends in a Slinger. 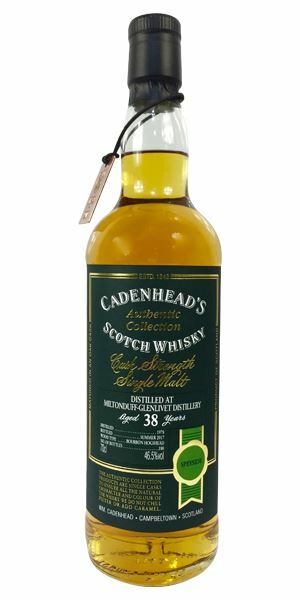 The tasting then jumps to a 38-year-old Miltonduff from Cadenhead, the oldest whisky in the selection, which brings pineapple, rose petal tea and ‘decent maturity’. 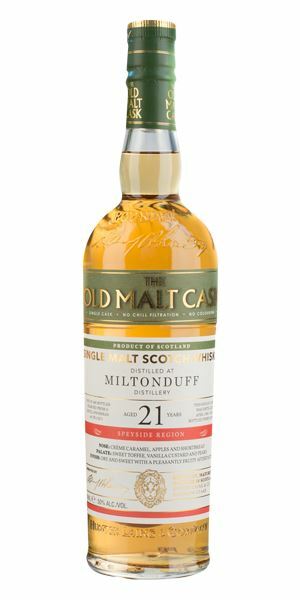 It’s then back to those sweeter, dessert-like flavours to finish with a younger 21-year-old Miltonduff from Hunter Laing. An oily opening with a twist of apple and raspberry vinegar, along with some dried fruits. This flies off in time to show milk chocolate and raisin sitting underneath. Water makes everything creamier. Resinous Sherried elements come through strongly, along with dried and ripe fruits, and hazelnut butter. Very cask-driven. When water is added, the resinous elements grow ever louder. 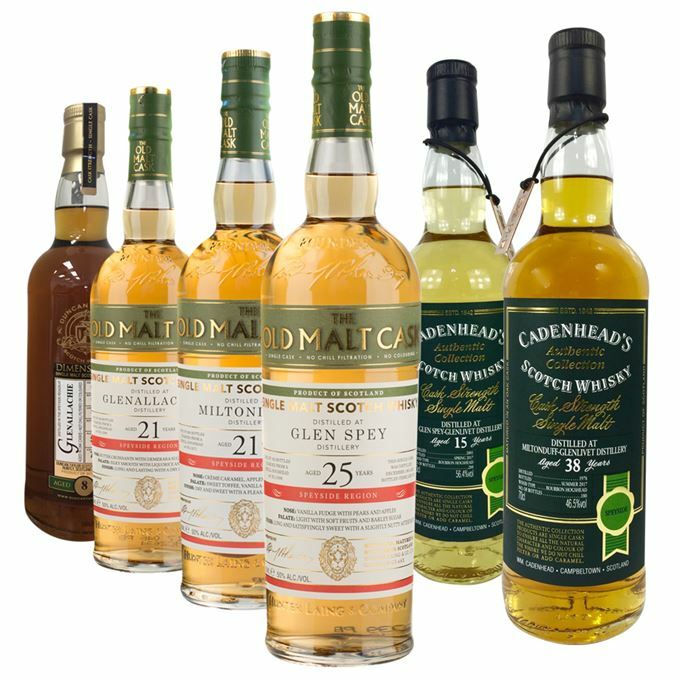 While this is undoubtedly impressive, and there’s plenty of additive maturation here, there’s little interactive, meaning you end up playing ‘hunt the distillery’. A violinist eating a Walnut Whip. Aromatic dessert wine. The slight oxidation brings to mind a light vin santo. Some sweet pear – fruit and blossom – then white currant and unripe strawberry. Seems fragile. Everything remains very soft and yielding, with a new fruity perfume akin to medlar. Front-loaded (typical of the distillery) and pleasing. You’re still left with the idea that it will be blown away with water. Instead, it holds up better than you expect, with a gentle, sweet fruitiness developing. A charming Glenallachie with good distillery character and a slightly melancholy air of springs and lost friends. A picnic on the cold days of February. Intense and aromatic: melon skin, dessert grape, green banana and Bramley apple. Slightly vinous, with a hint of thickening fruits behind. A dusty element, but has real charm. Water shows just a little lack of wood action, and things become a little plain. An oily palate, clinging texture with marzipan, and a perfume akin to lilac and lavender. Fills out with water, balancing the delicate, perfumed fruit with the floral elements. A genuine charmer, albeit fleeting. Miss Marple in her cottage garden. Similar to the Cadenhead, but with more of a Muscat dessert wine aroma alongside elderflower blossom, then a little white chocolate. Water allows it to open out with a certain depth and just a sprinkle of wholemeal flour. Rather gorgeous. That oily feel is here as well, adding a little more juice to the fruits. Things do remain highly aromatic on the front of the mouth and the texture allows the perfumed fruits to fold back along the tongue. When water is added, it all begins to quiver and fall apart. Crisp, dry and slightly short. A truly lovely nose – though as everything does fly off quickly, it’s best as a Slinger. Elderflower jelly on a plate. The ex-Bourbon cask is doing a lot of the heavy lifting here, adding coconut cream and toffee, but there are still some of the distillery’s floral aspects, hints of rose petal tea, hibiscus. Has a certain depth and decent maturity. The softness of the cask comes out further with water, but is never overly dominating. Mature and slightly powdery on the front of the tongue – there’s also surprising heat. The cask adds structure and, while the fruits are entering the overripe, oxidised stage of maturation, there’s still, remarkably, touches of pineapple and acetone. Is it holding together or falling apart? Water saves it, adding a heavy gorse flower aspect. The cask has a lot to say here, but the distillery character remains strong. Well worth a look. It may be old, but the force is strong. Mealy pudding, yeasty, with some fresh-baked (white) bread. Becomes increasingly sweet with grass, meadow flower, sugared almond, raspberry fool and a little heat. Water pulls out wheat chaff. Quiet and whispering. Tongue-coating but delicate, with those slightly nutty elements adding some grip to the side of the mouth, while in the middle there’s some light honey and barley sugar. Water not only opens things up with a suggestion of char, but adds some weight and a lick of agave syrup. Things lighten once more, but the sweetness remains. Take your time and you shall be rewarded. A small smackerel for Winnie the Pooh.